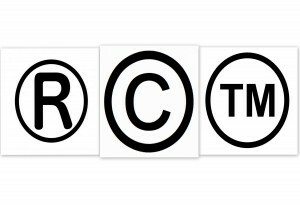 It is so very tempting to cash in on the latest “thing.” But many times, doing that could put you in a world of legal hurt for copyright or trademark infringement. Somebody – or many somebodies – worked very hard to create a business or entity that it is recognizable from a single image. We all know the Golden Arches are McDonald’s, Mickey Mouse is Disney, the colorful peacock is NBC and the black and yellow patch is Batman. 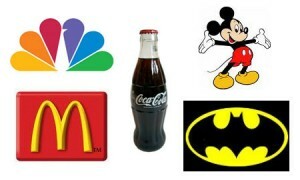 The creator(s) of these iconic symbols took the trouble to register them with the US Government (Patents & Trademarks or the Library of Congress for copyrights) to protect them from being used without authorization. In a nutshell, you cannot use any of these protected things to make money for or promote yourself without express, written permission or you are guilty of infringement. No, you can’t. There’s a notice to you (the consumer) in the selvage of that fabric that reads something to the effect of “For non-commercial, personal use only.” Yes, you can buy it and you can use it, but you cannot resell it for a profit. 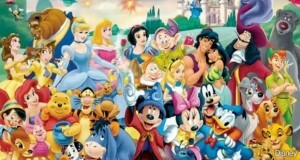 Even words can be trademarked, like the Disney signature. This means the owner can make money from it but you can’t. Companies are very protective of their trademarks and logos, so much so that many of them have entire departments dedicated to just dealing with infringement. Many of them go so far as to offer a ‘reward’ to anyone who will report a violation to them, much like a finder’s fee. So, they are never going to know is not realistic. Best case scenario, when you finally get caught, you will receive a Cease and Desist letter from an attorney’s office or a company’s legal department. This letter will emphatically state that you stop doing what you are doing immediately and provide evidence that you have, in fact, done so. It will iterate exactly what will happen if you do not comply which could include filing a civil suit against you. Since you did use their property without their permission, this could end up costing you in the hundreds of thousands of dollars in damages and attorney’s fees (yours and theirs), because you are guilty of the infringement. Worst case scenario? They will follow through on those threats creating a legal nightmare for you. Resist the temptation. You don’t need the headache, stress, worry and possible massive legal problems you could be creating for yourself. The couple of hundred dollars you might make simply is not worth it.